h.Art was pretty full on this year and I didn’t really have the opportunity or head-space to make any shades from scratch. 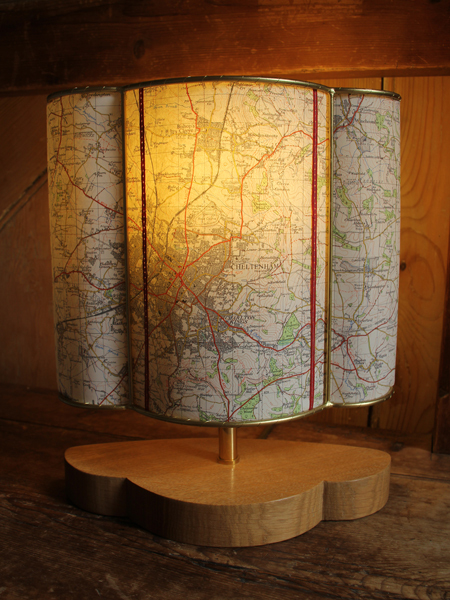 I did manage to finish this half-shade using a reclaimed OS map of Cheltenham. 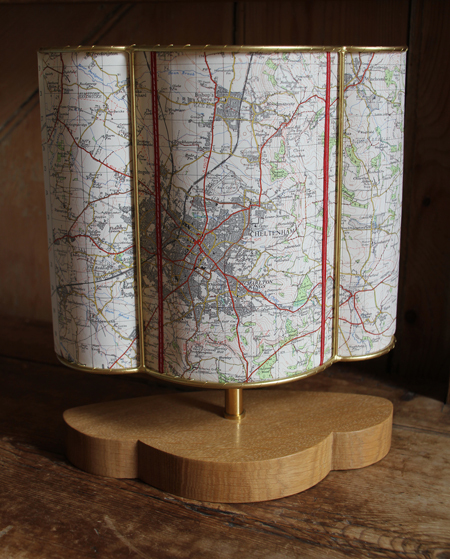 It has a lovely vintage feel and the town was perfectly placed on the map to enable a bit of symmetry with the stitched lines. I walked along Cheltenham’s famous Promenade only yesterday. It’s a lovely Regency spa town which will soon play host to The Times Cheltenham Literature Festival from 8 -17 October 2010.